Private lessons are ideal for those with specific areas they want to focus on. Private lessons are also recommended for dogs that are generally aggressive, reactive, hyperactive, shy or fearful in nature. This program provides more personalized attention than a group class can offer. If your family has an extremely busy lifestyle and you want your children and extended family involved in training, this is a great alternative to our group classes. Lessons are offered at our facility in Gaithersburg, MD or, if you prefer, in your own home. Price Depends on Duration and Frequency of Lessons. Call us at 301-963-6962 to schedule your free evaluation and quote! Designed for the mostly obedient dog who may need work on specifics such as leash pulling, electronic remote collar training for off lead recall (“Come” command), dog reactivity, car chasing, etc. Note: For the 5-day In-Home Day Camp, Your dog must have completed iCare Canine’s S.T.A.R. 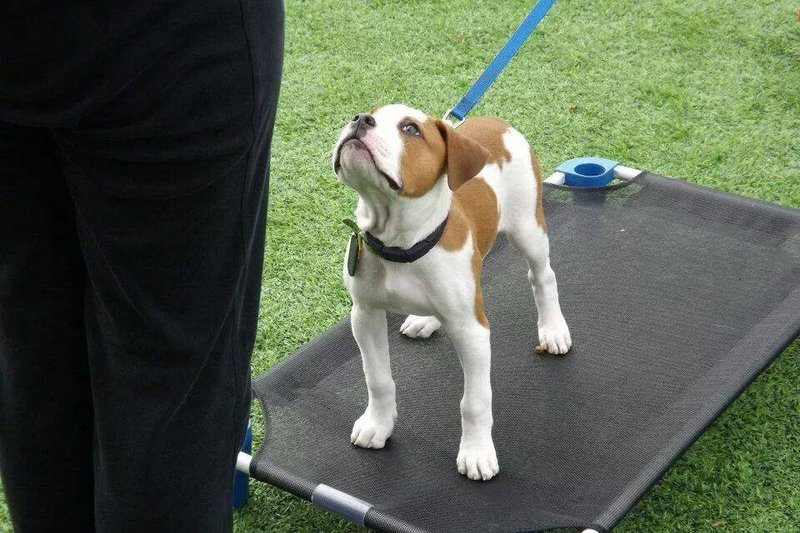 Puppy or Basic Obedience Class. Since 5 days is such a short amount of time, your dog must already have knowledge of some basic obedience for this Day Camp to be successful. Our trainer comes to your house every weekday for 10 days and spends 45-60 minutes training your dog. The trainer does all the work and you need not even be present. This is a very efficient way for your dog to learn, as we use all our expertise with mechanics, timing & reinforcement, and giving intensive instruction on all the basics like, sit, down, stay, come, heel, place, leave it, and off. As well as the basics, each training camp is tailored to your individual dogs issues and your needs. On the Saturday following the completion of day camp, you and your family will get a 1 1/2 to 2 hour private session to learn how to execute and maintain all of your dog’s new skills. Everything from the 10 day camp, plus field trips to local high-distraction destinations (i.e.. Pet stores, dog parks, shopping areas). This program is highly recommended for certain nervous, reactive or hyper-type dogs.